Our Zelda tattoos wouldn’t be complete without a triforce tattoo, right? Well luckily Evan from Sugar Land, TX delivers. He got this piece of ink from Dave at Diamond Tattoo. The big question is which came first: the tattoo or the towels? 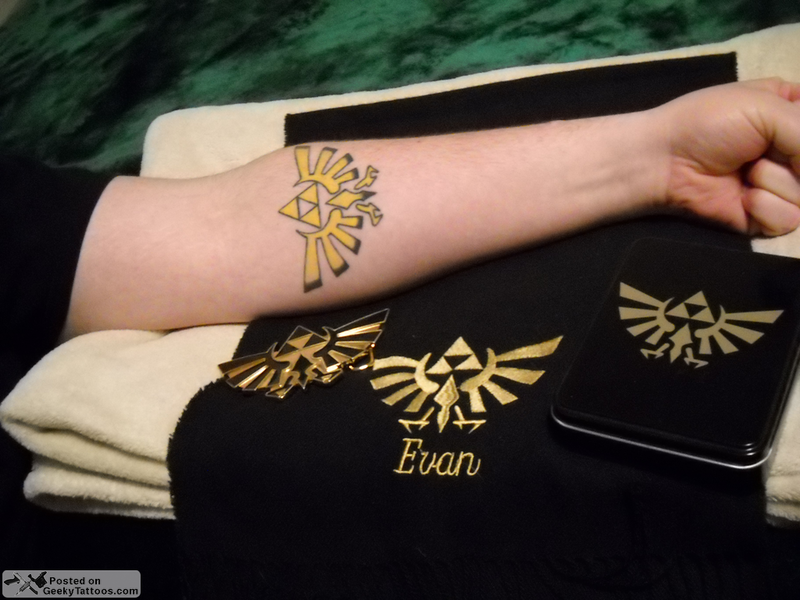 Tagged with arm, Triforce, Zelda. this is crazy… my name is Evan and i googled triforce and near the top of the first page i see this picture. i think the game is calling me.